Kemppi is the pioneering company within the welding industry. We believe that everything that can be connected will be connected. For us, welding value is increasingly created in the global, constantly evolving networks – in the meeting point of different industries, users, technologies, equipment, software, and services. To pioneer this value creation, we need to understand the individual motivations along the way. 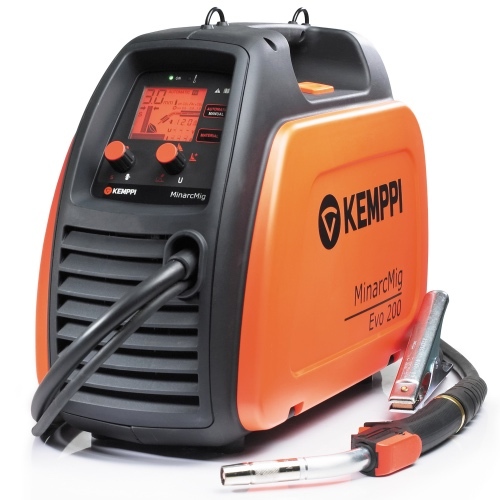 The delivery package includes a MIG welding gun (MMG22), cables, gas hose and shoulder strap. Available also as AU and DK models. The MasterTig ACDC 3500W is a powerful TIG welding machine suitable for all types of materials, with many functions and several control panel options. This unit is a 3-phase TIG welder equipped with extensive control options and both AC and DC TIG welding functions. It can also be used as an efficient power source for Stick (MMA) welding. Modular control panels enable alternative features, each offering very precise control of the welding current in different phases of the welding task. 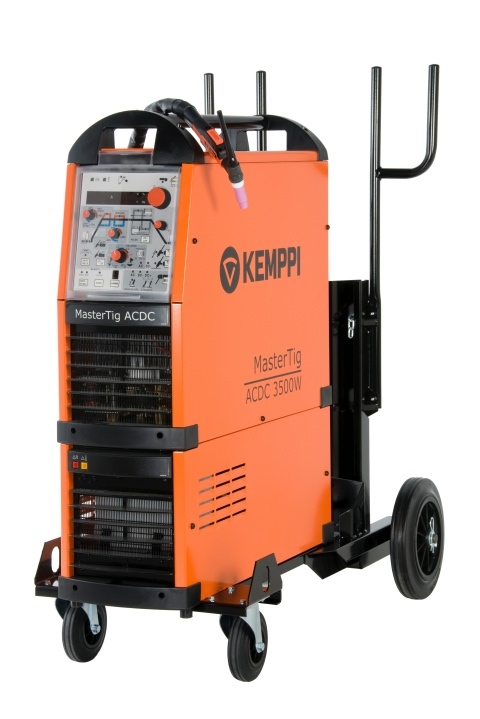 The MasterTig ACDC 3500W is equipped with an integral cooling unit, providing efficient cooling for liquid-cooled torches in high duty production welding environments. With MasterTig ACDC 3500W the shape of the arc, weld penetration, cleaning effect, as well as the other features, are under precise control, also keeping costs under control and ensuring that the quality of the welds remains high at every level. Kempact 323A has been designed with one thing in mind – its user. From the convenient waist height LCD control panel and the innovative chassis design to several useful features and functions, a rewarding welding experience is guaranteed. Moreover, Kempact 323A can provide savings of more than 10% on energy costs while ensuring optimal welding performance. 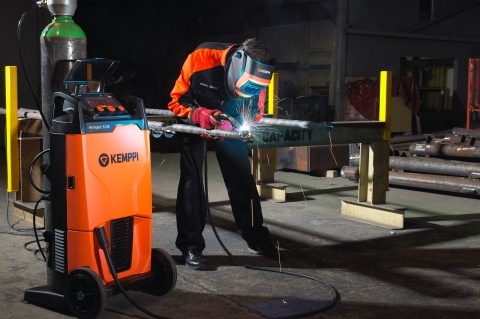 To top that off, Kempact 323A’s Adaptive control panel allows you to improve welding accuracy with a convenient memory channel function and adaptive set-up where welding power is automatically set according to plate thickness selection. Standard features, such as a localized heat treatment function perfect for thin sheet fabrication and automotive repair, are available throughout the whole Kempact RA range. The delivery specification includes a welding gun and earth return lead pack. The Kempact RA product family has received the iF Product Design Award in 2012. Minarc Evo 180 is the latest MMA model from the popular Minarc Evo family. It has all the great qualities of its predecessor, and then some. Upgraded, improved, and more powerful, it serves the agile welder better than ever with greater welding capacity. The delivery package includes both MMA welding lead and earth return lead and clamp. 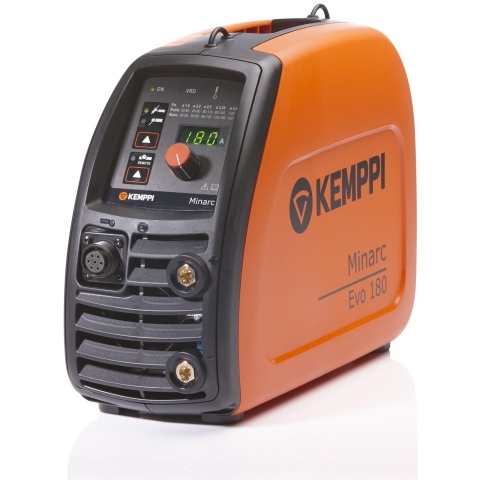 Every element of the Minarc Evo 180 is designed to meet the needs of professional welders on the move. Where size, weight, and welding quality are concerned, there is no equal.